Cultivate is a major new arts festival celebrating the creative arts, which took place from 21-24th June in Harpenden, Hertfordshire. Various locations across the town hosted exhibitions, installations, concerts, workshops, pottery, poetry and performances on the theme of ‘Beauty, Order and Abundance’, with the aim of bringing together people of all ages to participate in the arts in all their forms. 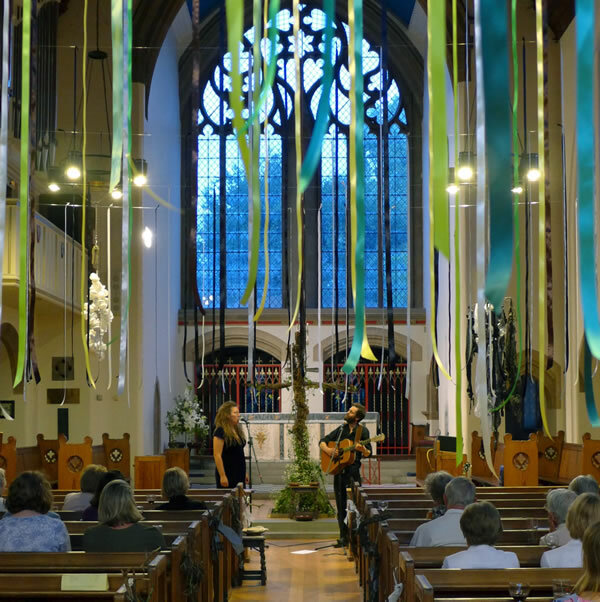 An ambitious art installation ‘In and Out of Order’ was created within the space of a local church, on the theme of the environment and our place within it. A riot of ribbons, hanging in the space, tell the story of the beauty of creation, which we have destroyed and polluted through plastic and deforestation. The ribbons become monochromatic, and charred branches and sculptures made of waste materials hang in the space. 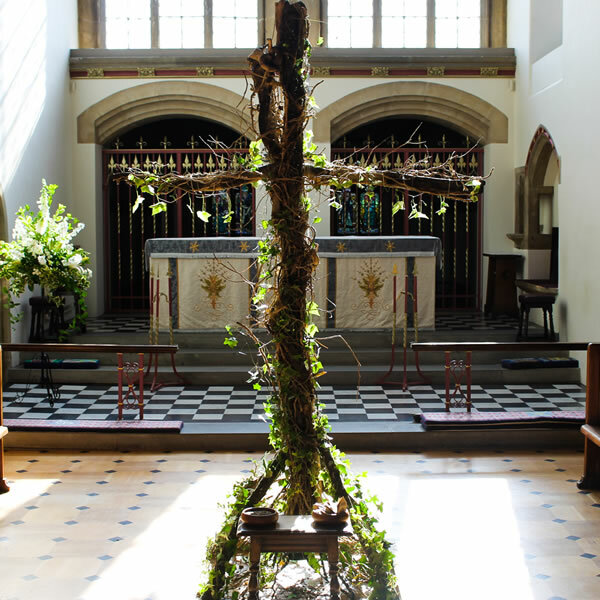 Yet hope and redemption are promised in the shape of a 7ft gnarled, splintered wooden cross, entwined with ivy and bursting with tiny white flowers. The wider community assisted with this project through managed contributions from various local groups – including schools, the Brownies and Rainbows. Visitors were invited to interact with the installation by leaving their mark and taking away a handful of wild flower seeds to nurture at home. The installation was the setting for a programme of talks, poetry readings and concerts throughout the week, all on the subject of the environment. Visitors described the installation as ‘Thought-provoking’ ‘Powerful’ and ‘Inspiring’. Liz was interviewed on BBC Three Counties Radio about the festival, and the local paper helped to publicise this exciting new event. Plans are afoot to make Cultivate an annual festival – for information about 2019 watch this space!